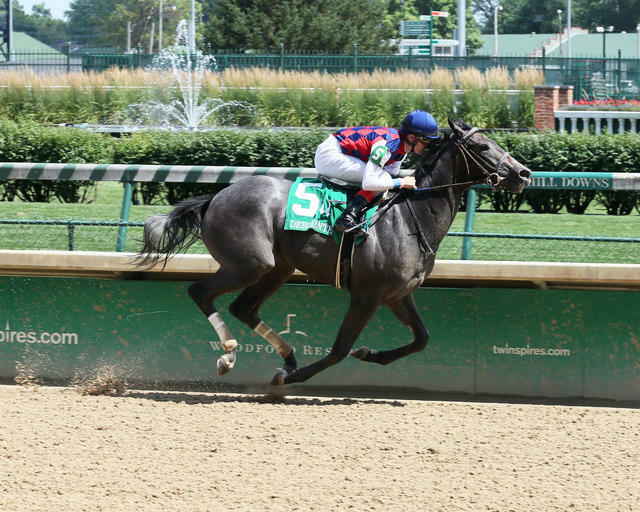 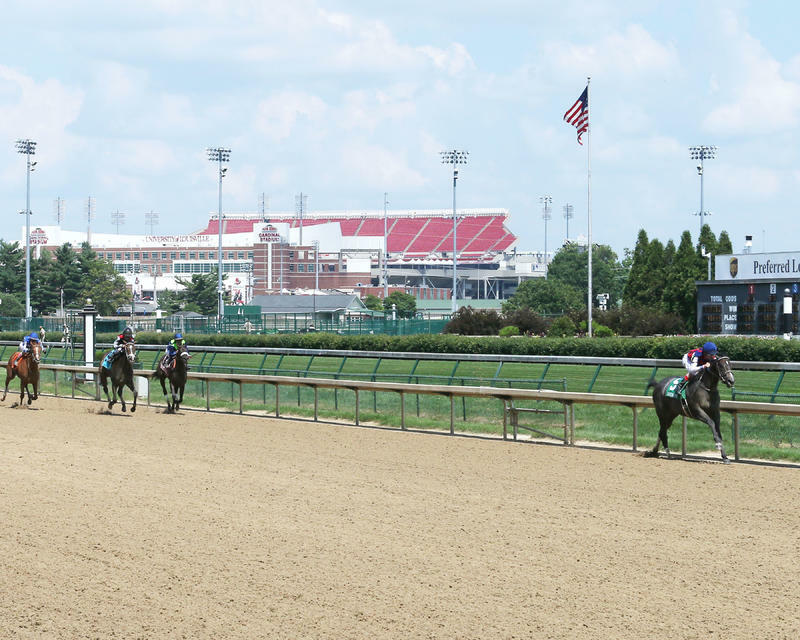 Three Chimneys Farm LLC and Fern Circle Stables’ Restless Rider overcame trouble on the turn to convincingly beat Shanghai Rain by a record 11 ¼ lengths and six other 2-year-old fillies in the 118th running of the $100,000 Debutante (Listed) on closing day of Churchill Downs’ 38-day Spring Meet. 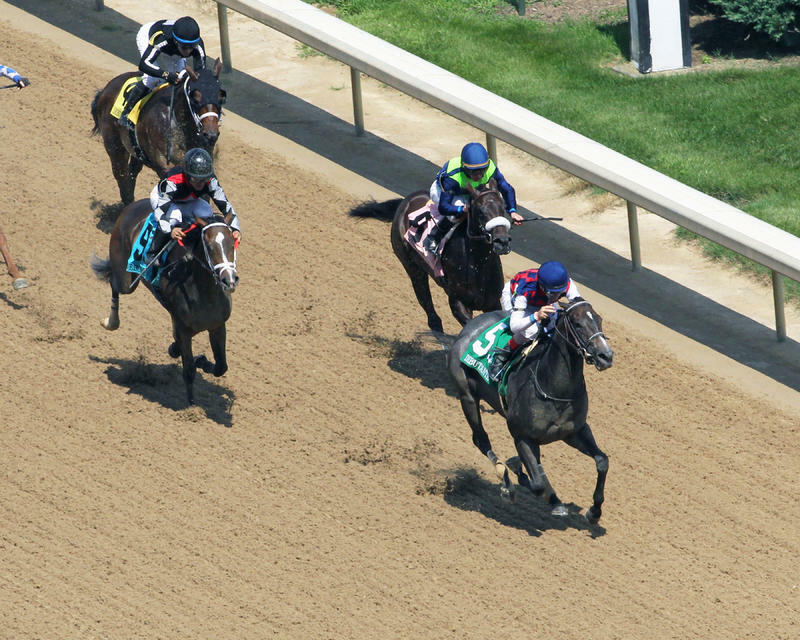 Restless Rider, the even-money favorite, clocked six furlongs over a fast track in 1:10.62. 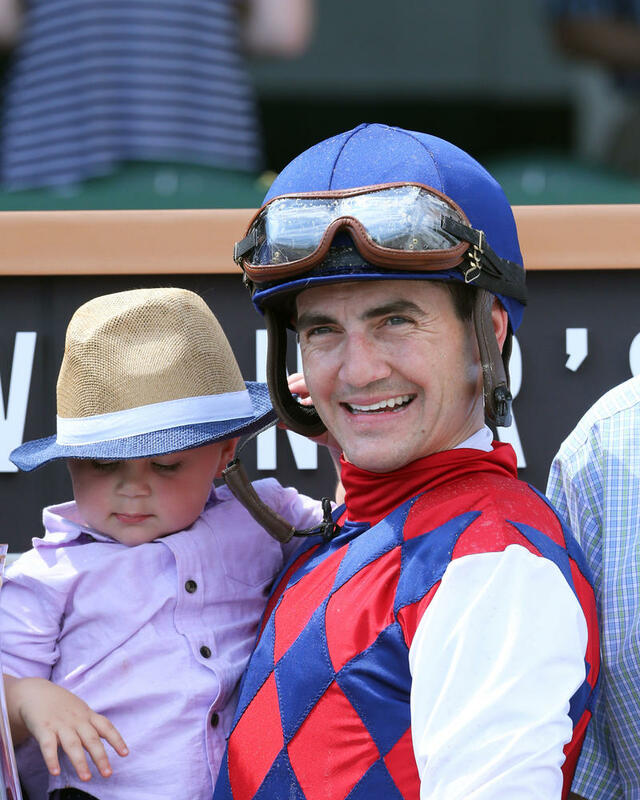 The Spring Meet’s leading jockey Brian Hernandez Jr. rode the winner for trainer Kenny McPeek, who also won last year’s Debutante with Sunny Skies.